Here at StaxUP Storage, we know our success is due to our wonderful team. The care they give our renters is unparalleled and we want to highlight their milestones along the way. 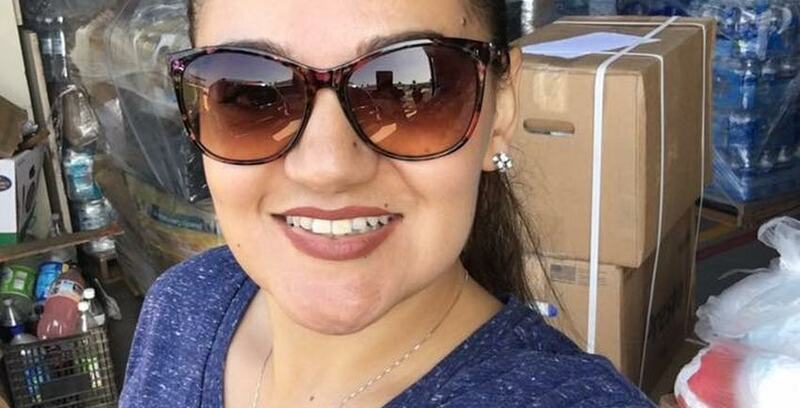 Below is an interview with Southern California District Manager Monique Quintana-Padilla, who is celebrating her 11-year anniversary with StaxUP Storage. Monique Quintana Padilla is a District Manager for StaxUP Storage. Monique leads the StaxUP Storage Team at 10 locations in Southern California. Colby: Monique what year anniversary will this be for you this year at StaxUP Storage? Monique: This is my eleventh year. Colby: You are a District Manager, did you start out as a District Manager or by running a facility? Monique: I was hired back in 2007 as a janitor! There you go! How about that!? I was working outside. I would work from 1 pm to 10pm at the StaxUP Storage in San Ysidro. I would do all the cleaning outside all the 14 buildings: upstairs, second floor, and inside of the unit. And then, I was there for a couple of months and I was promoted to Assistant Manager. And then, I was Assistant Manager for about a year and a half and I got promoted to a Manager. So, I was a Manager for seven years, and I was recently promoted to District Manager on November 1st 2017. Colby: Very cool, very cool, so how’s the new position treating you so far? Monique: Awesome! It’s awesome. I love it. I mean, San Ysidro is a really busy facility, so, I was always running around, and it’s a lot more physical work walking, doing this, doing that, unloading trucks. District Manager is a little more in the background. I oversee 10 properties, but I love it. I love my job. Colby: San Ysidro is a pretty busy location? What advice would you give someone who was moving to San Ysidro to live for the first time? Like if I was to move there from the middle of the country, what advice would you give someone who is new to the area? Monique: Well there are a lot of different things. You got to go try Taqueria Revolucion if you don’t want to cross the border that’s the closest you can get for Mexican tacos. Colby: What are some other fun spots in San Ysidro, is there anything interesting going on in town right now? Monique: Well there’s not a lot going on right now, but we’re not that far from downtown San Diego. Colby: Well, you’ve got a great story. Starting out essentially cleaning, to becoming a District Manager. Do you have a favorite story from your career that you like to tell people? Monique: There’s so many I can’t think of just one, I’ve been with the company for 11 years. So, there’s a little bit of everything I think I’ve experienced. Colby: So, is there anybody you’d like to give a shout out to? Monique: My team, my whole team. I want to thank everybody for being there for me. I have always been with my San Ysidro team, but for some of them it’s actually a new team, but everyone at all my facilities that I have overseen, they’ve been great. They are so helpful and have been supportive as well of my new position. If it wasn’t for my team, it wouldn’t have been so easy!